Vince had a school violin concert tonight. 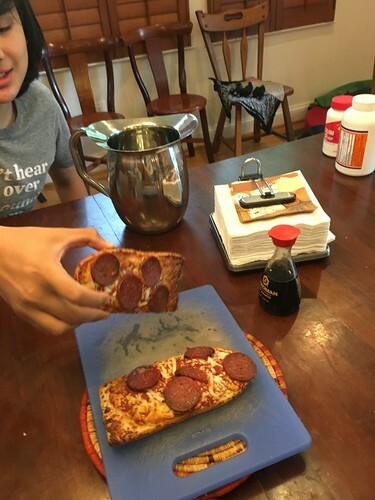 Due to the constraints on time, we busted out the Stouffer's French Bread Pepperoni Pizza for dinner tonight. Vince thought it was excellent. I thought they were better when I was a kid, but I told Vince that the French bread pizza was more Donald's thing. I really enjoyed Hot Pockets - maybe next week. I think this might have been the last time I will go into the JW gym. 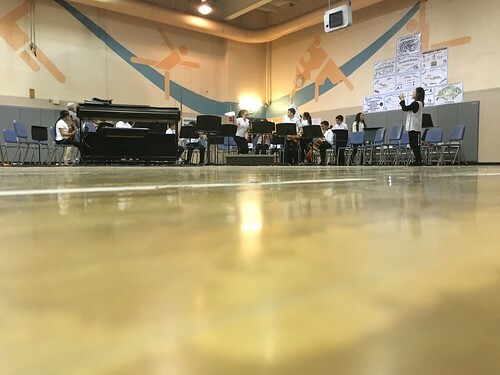 Thirty years ago, I played the same violin in this same hall. Jeremy is smiling, but really, he feels lousy. Another cold is going through the house. Here's the last piece. Vince is in the front row on the right side of the screen under the conductor's armpit.